The Las Vegas sports betting online community is hot-to-trot as we draw nearer to November 2. 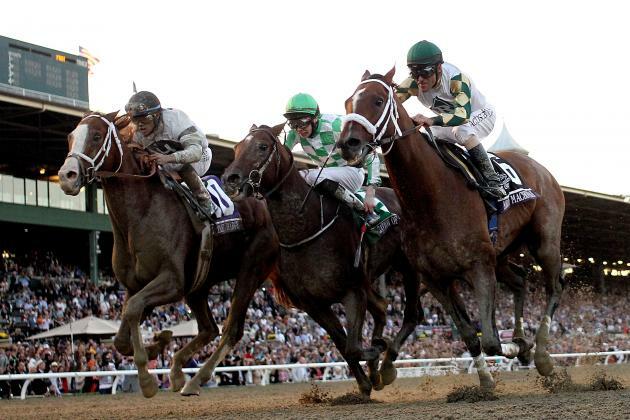 As people involved in the best online sportsbooks business should know, that’s the weekend of the Breeders’ Cup. Unlike in Monty Python and The Holy Grail, there will be no shortage of horses at Churchill Downs. As a matter of fact, the 2018 edition of the event has drawn a record 221 entries. Of course only one of our equine friends can win the Breeders’ Cup Classic Grade I Weight for Age thoroughbred horse race. So dust off your Cannonball single and let’s have a look at the best of the Breeders’. Accelerate is the Las Vegas sports betting online favorite to win the 2018 Breeders’ Cup Classic on November 3. His dam’s sire was Awesome Again, who won the 1998 iteration of this race. Excepting last year Breeders’ Cup Dirt Mile, Accelerate has always finished in the top three in his 19 races. His finest moment so far came in 2017 San Diego Handicap. On that occasion he bested 2016 Breeders’ Cup Classic winner and champion Arrogate. West Coast went from zero to hero in a little over six months. Between September 23, 2017 and May 20, 2017, he won five straight races. First, the Pennsylvania Derby. Second, the Travers S. Presented by NYRA Bets. Third, the Los Alamitos Derby. Fourth, the Easy Goer S. (is she a goer? Wink, wink, nudge, nudge. Say no more!) And fifth, the Santa Anita AlwOC. In 2018, West Coast placed second in the $16.3 million Pegasus World Cup Invitational Stakes at Gulfstream. He likewise came in second place in the $10 million Dubai World Cup Sponsored by Emirates Airline at Meydan. His dam Caressing won the 2000 Breeders’ Cup Juvenile Fillies. McKinzie had been living in the shadow of stable mate and 2018 Triple Crowner Justify. Especially when the former missed the Kentucky Derby with hind leg injury. But now that Justify is retired and living the dream, it’s McKinzie’s time to shine. And in fact he made a statement when he won the $1 million Pennsylvania Derby on September 22 by 1 ¾ lengths. And that was just his first race in half a year. It’s a shame Analyze won’t be in the Breeders’ Cup Classic. Because then Catholic Boy would be a lock to win it. C-Boy handed Analyze his first loss in the Pennine Ridge Stakes. Five weeks later, he did it again, beating Analyze in the Belmont Derby Invitational Stakes. Catholic Boy has five wins and one second place in eight races. This horse was named after the German composer, pianist, organist and conductor of the early romantic period. Though he probably should have been named after Rob Halford or Bruce Dickinson. Mendelssohn’s dam was a Broadmare of the Year. And his half-sister is the decorated Beholder. All odds taken from MyBookie.ag, which has a finger on the pulse of Las Vegas sports betting online.